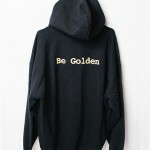 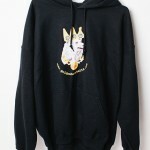 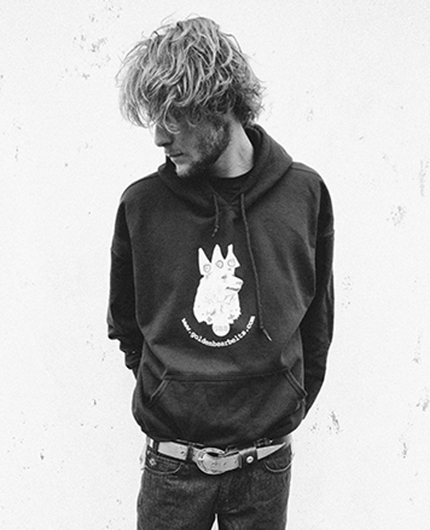 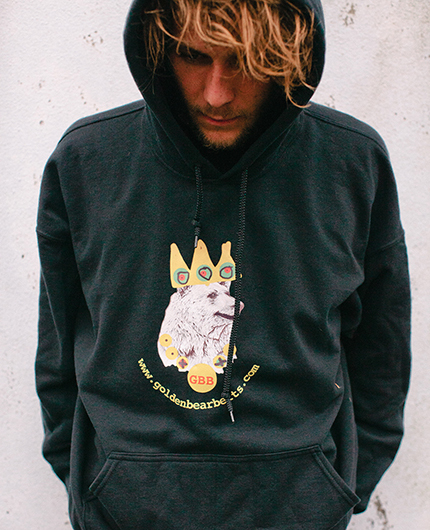 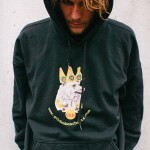 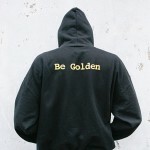 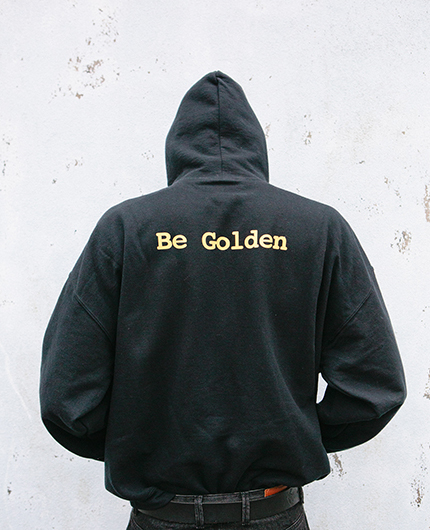 Get cosy with our “Be Golden” MEN’S HOODY. 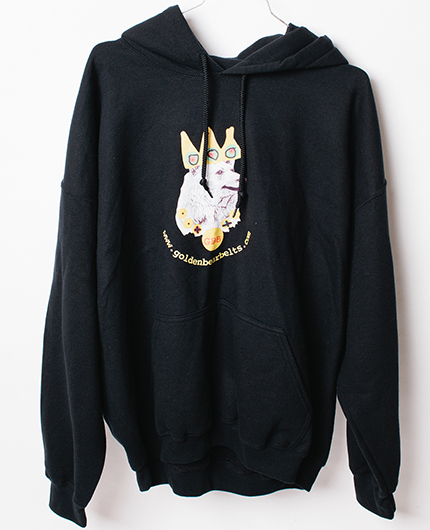 This hearty organic cotton piece brings comfort and warmth. 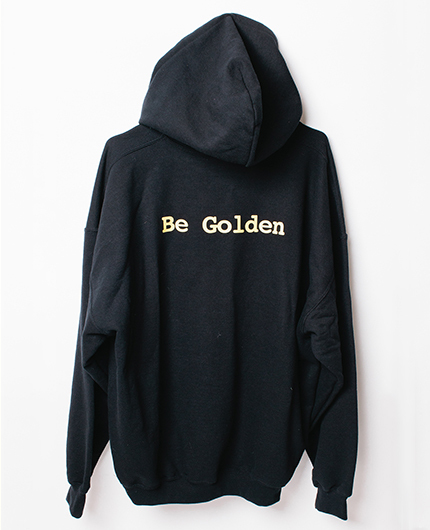 Embellished with the “Be Golden” stamp of positive vibes, join our golden revolution. 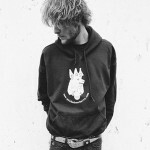 Made with LOVE in Devon.